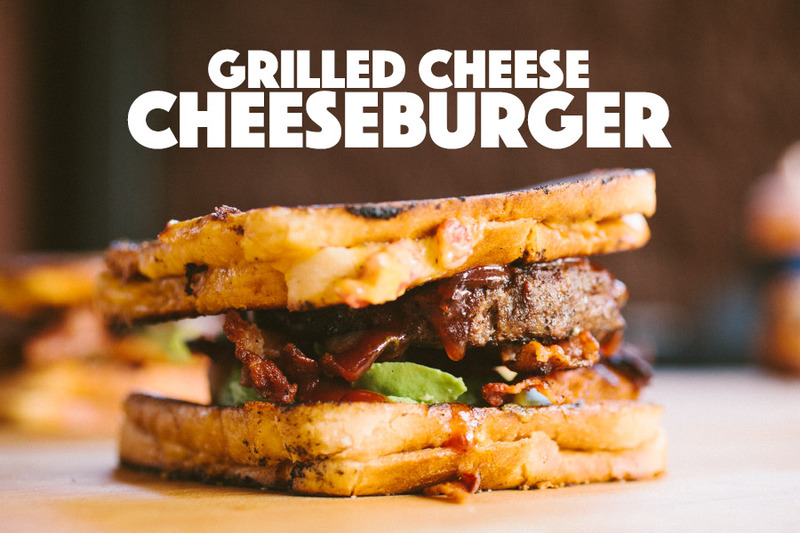 If you’re someone who loves a good burger, but is always looking for ways to kick it up a notch, how about grilled cheese sandwiches for buns? Yeah, let’s do this! Not simply a slice of American between the bread, we’re filling these grilled cheese buns with a creamy mixture of cheddar, mayo and piquillo peppers! Love the options available for cooking techniques when using the Napoleon Prestige P500RSIB-1. Griddle, no problem. Gas grilling, easy! 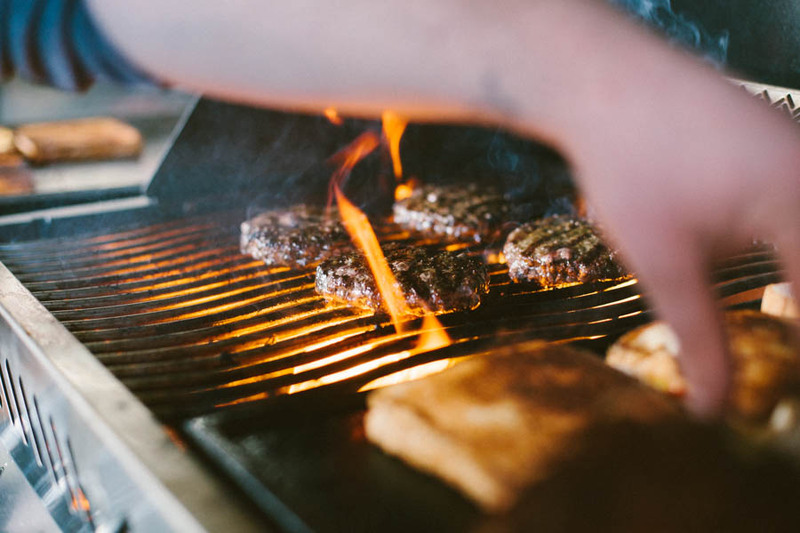 Charcoal grilling, we can do that, too. Can’t forget the condiments and toppings. 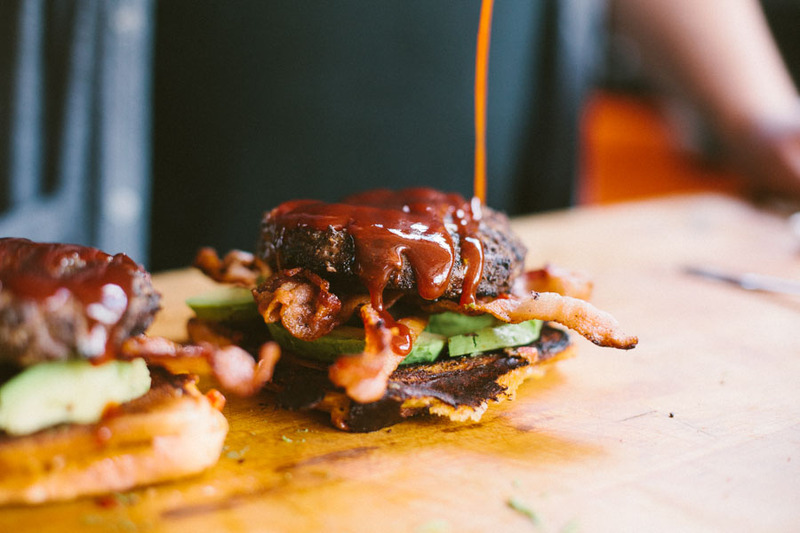 Avocado for added creaminess, bacon for smoke and crunch and, of course, Big Rick’s Chipotle Ketchup! Preheat your Napoleon Prestige P500RSIB-1, set up for direct grilling on one half, and with a griddle on the other. Set the burners below the griddle to medium-low, and the burners for direct grilling to medium-high. Cook the bacon on the griddle. Carefully soak up the excess grease with paper towels. Combine the cheddar, mayonnaise, and piquillos in a small bowl and mix well. Divide the filling amongst eight slices of bread. Top each one with the remaining slices of bread. 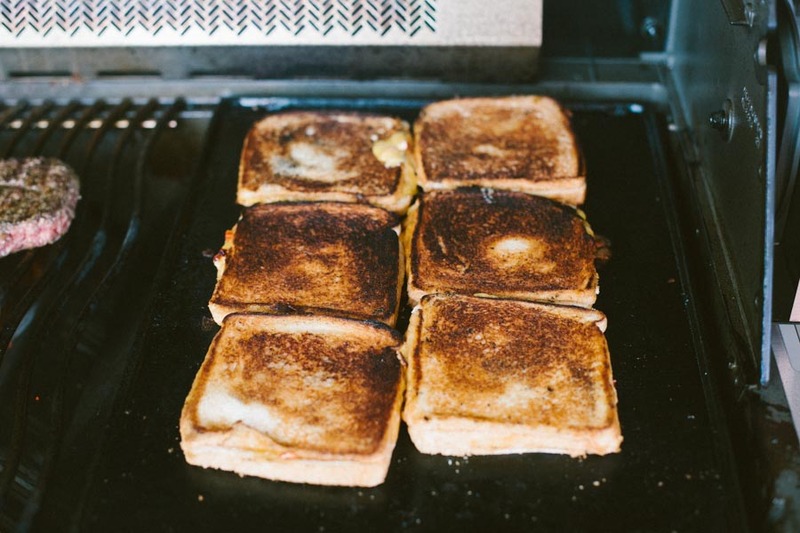 Cook the grilled cheese sandwiches on the griddle. Season the patties with Oakridge BBQ Santa Maria Seasoning. Grill until the internal temperature reaches 155ºF. Halve and pit the avocados. Slice and remove the flesh. 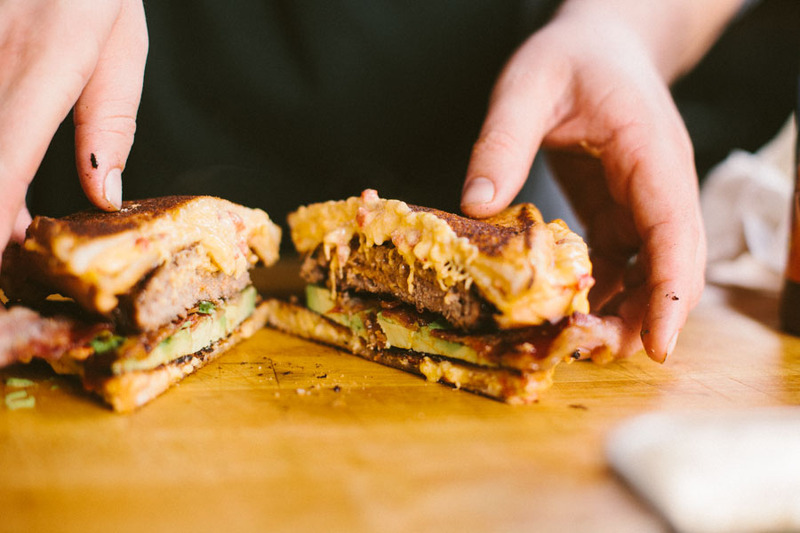 Build the burgers: Place the avocado and bacon on top of one grilled cheese. 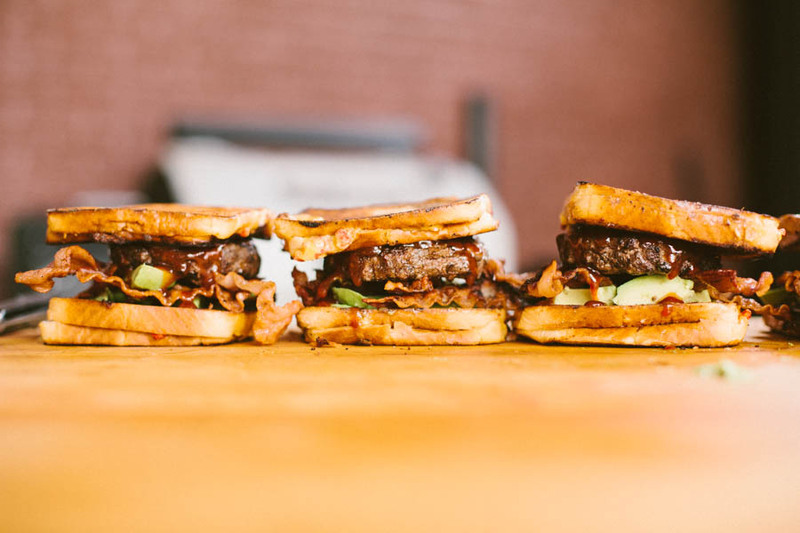 Top with the burger and Big Rick’s Chipotle Ketchup and then a second grilled cheese. Repeat with the remaining burgers. I really like how you are using grilled cheese sandwiches as the buns for your cheeseburgers. That is really clever. My sister is coming into town soon, and she loves to eat burgers. Unfortunately, she isn’t too fond of grilled cheese. I think that I’ll need to find somewhere for us to get cheeseburgers once she gets here, and I’ll have to save your recipe for myself.